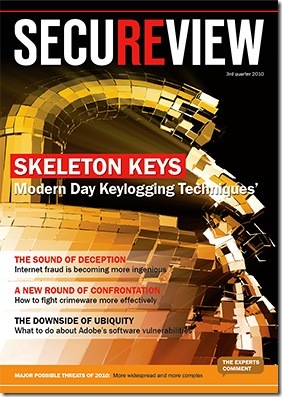 Kaspersky one of the famous security company recently announced a new free security magazine called “SecureView”. Secure View magazine is a free security related magazine, where everyone can download this for free. It is available in PDF format, so any user can download and view it on our PC without having Internet connection. No doubt Kaspersky Antivirus products are one of the best security related products which is available online. I highly recommend their products for everyone who want to keep his/her computer safe from virus and hack attacks. After announcement of this security magazine Secure view, I downloaded a copy for myself and read few topic which is available on that magazine. All topic which is we seen on secure view magazine are professionally written security related articles by Security experts. If you are a security expert, then you can share your knowledge with Secure view team. If your Article is good, then it will get published in SECUREVIEW magazine. If you love to read security related news, articles then Secure View security magazine is for you. Ya, I also checked it!